We are expecting baby number three! Estimated delivery time is in October. Right now both kids are voting for a boy. (This changes often, in Beth’s case.) I think Ryan and I would like a boy just because, between Beth and me, we already have enough estrogen in the family. 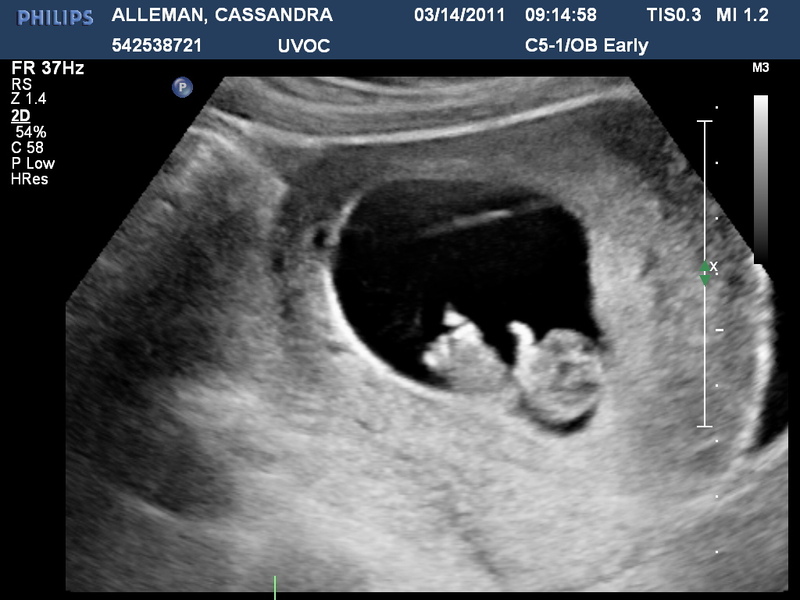 Boy or girl, we are very grateful and excited—excited to get past the first trimester! Morning sickness, blah! Eric has started asking me, “Mommy, why do you keep throwing up? It’s gross.” How can I argue with that? Here is a nearly indistinguishable first picture of our little one. My kids are so sweet. I have been getting over a little stomach bug and have been down the last few days. Today Eric and Beth were having a tea party upstairs (with imaginary tea because giving them water makes too much of a mess). Well, they felt sorry that mommy couldn’t play, too, so they took the apples they were eating, chewed them up, spit them out in a little tea cup, and brought me some “apple tea” to make me feel better. I am so loved.